Home / EHF EURO 2018 / FINALY GOLD! Spain at the TOP of Europe! FINALY GOLD! Spain at the TOP of Europe! Spain are the European champions! The Spanish team finally found the way to break “black series” in the decisive matches of EURO events, which they lost four in the period of 20 years! 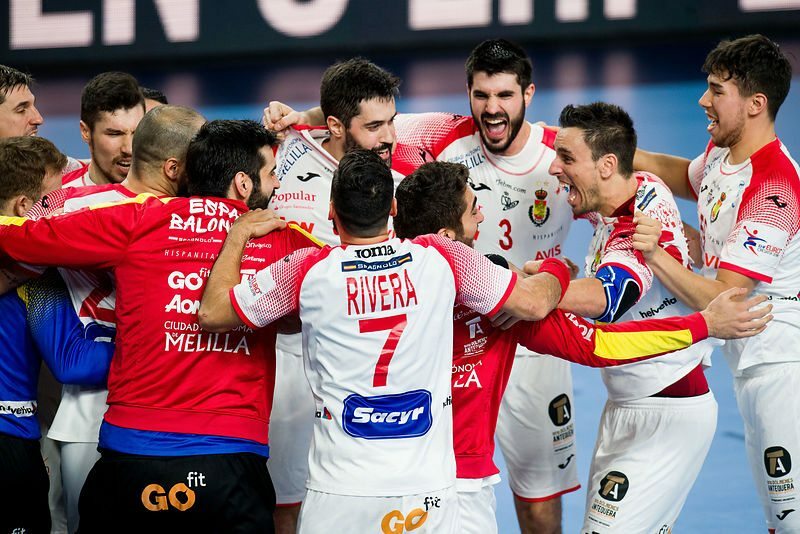 Croatian capital – city of Zagreb will have special place in the memory of Spanish handball community after this night in which Jordi Ribera and his players showed the tremendeous level of handball in the second half. Aggressive defense on Jim Gottfridsson and Linus Arnesson totally turnover the match in the second half. The Swedish team was in lead in the first half with Mikael Appelgren (11 saves in 30 minutes), but almost after ten minutes of the second half, match way under full control of the Spaniards – 20:15. With good level of Arpad Sterbik, Swedish players could hardly come back in the match. ← Previous Story 5th EURO MEDAL: France win bronze!